This second generation of the Scirocco is a high performance compact car offered by German automaker Volkswagen. 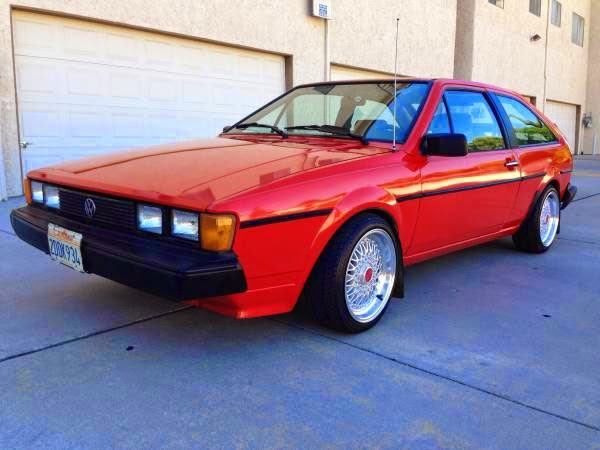 As the picture is a VW Scirocco 1984 model, it has 177000 original miles still on original good condition. This is an American Scirocco specs, it has powered by a 1.8L 8 valve engine according the picture. It become a reliable and faster car come with affordable price today. The pics as confirm, it has dent and rust but its quite easy to fixes, all looks perfect as the original and hopefully nothing is hidden. The dash has much cracks need to replaced, the engine looks pretty well maintained, if you want it... you must come to see it. Very nice classic Volkswagen sport car would great light project for enthusiast. The Sirocco is flagship top lineup of the Volkswagen sport car and the current generation not imported to US. Here's Germany sport compact coupe produced by Volkswagen. It's a Scirocco MKII built in 1987 on silver metal. This is the base model 1.8L 8 valve. Manual transmission, no power windows, seats or A/C. But this little car is in great shape and is a lot of fun to drive. 267300 miles on this bullet proof engine. Runs very strong and gets 30MPG. New clutch and rebuilt gear box, new starter, battery, alt, radiator, timing belt, struts, springs, brakes, wheels and tires. Interior is in excellent shape. New carpet kit installed. Exterior paint is in good condition. 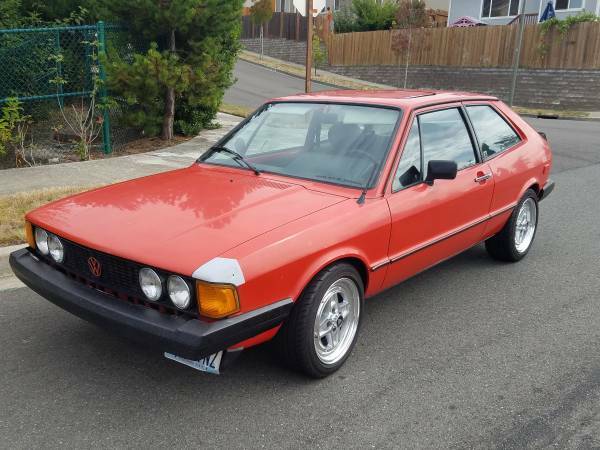 Here's a sport compact coupe produced by the German manufacturer Volkswagen, it's the second generation of Scirocco built in 1986 known as Scirocco 16V, he can boosting output of the 1.8-liter engine to 123 hp. 0-60 times are 8.1 seconds, he was more faster than a Porsche 944 in 1986. 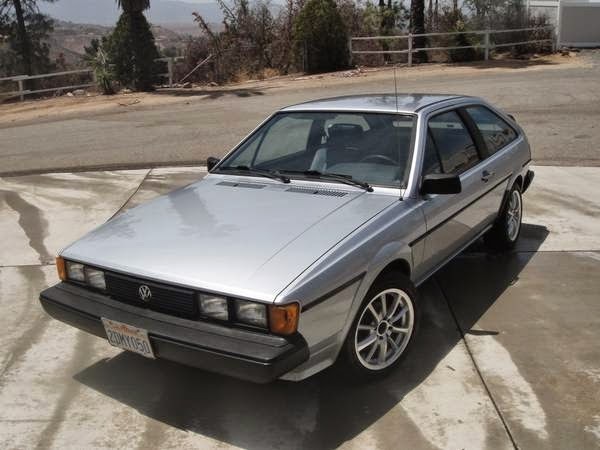 The Scirocco 16V was a short lived high performance sports coupe brought to the USA starting in 1986 ended in 1988 then the Corrado replace him. 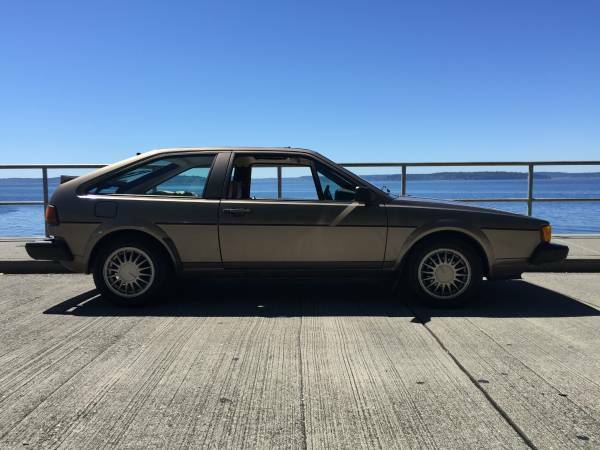 Here's a sport compact coupe produced by the German manufacturer Volkswagen, it's the second generation of Scirocco built in 1986 known as Scirocco MKII, 1.8L, 5 speed, has 93k miles, good condition and runs like new, looking for new owner.